Parents of B.C. 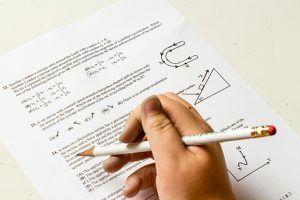 high-school students and the admissions office at the University of British Columbia are raising questions about the implications of replacing provincial exams for senior high-school students with new forms of assessments that will not be attached to classroom curriculum. The B.C. Ministry of Education plans to roll out changes in high-school curriculum and assessment, starting with a new Grade 10 curriculum and a new numeracy assessment in summer 2018. 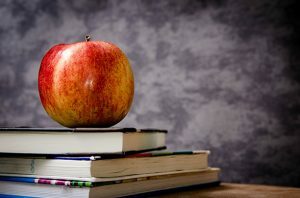 New curricula for grades 11 and 12 will take effect in 2019 and a literacy assessment will be introduced in 2020. The ministry says it is aiming to prepare a diverse body of students for a variety of futures by eliminating the provincial exams for grades 10, 11 and 12 courses. Many educators believe the exams limit classroom creativity by requiring teachers to “teach to the exam” — something that only pertains to students who wish to pursue post-secondary education. The new literacy and numeracy assessments will be evaluated with terms like “meeting expectations” or “exceeding expectations” instead of a percentage grade, like the current provincial exams. However, the decision to cancel provincial exams worries some parents and university officials, who say that those exam results were key indicators of student performance. University and college admissions departments also relied heavily on provincial exam results to make admission decisions and to predict a student’s first-year success. Linda Ling (left) and her daughter look at post-secondary options online. Ling has been researching post-secondary options with her daughter, Doris Li, a Grade 11 student at Hugh McRoberts Secondary. She worries that the new assessment may hinder the ability to objectively measure a student’s performance and that cancelling the provincial exam will change how fairly admission decisions are made. “Some teachers, especially in private schools, give very high classroom grades. I know some of my daughter’s classmates who transferred to private schools immediately got higher scores in class,” said Ling. For public universities like UBC, ensuring fair admission decisions is a key principle. According to Arida, this principle will be upheld regardless of the changes in admission processes. UBC admissions currently admits students based on their English 12 classroom grade and performance on the English 12 provincial exam. According to Arida, UBC will be expecting students to have completed the literacy assessment before applying when the new assessments are in place. Previously, students applied with their classroom grades only and waited for the provincial assessment results to come in later. Echoing Ling’s concern, Arida pointed out that a standardized assessment is an important way to assess whether students across the province are learning the same things in different classrooms. However, academic researchers have frequently raised concerns about how useful standardized tests and B.C.’s provincial exams are. “Standardized tests are culturally, linguistically, and politically biased — they reflect the values, interests, knowledge, and practices of those in power,” said UBC professor Meghan Corella from the department of language and literacy education. She said that the process of producing standardized exams is embedded with unfairness. The tests are designed with the assumption that a number of students will fail, while the students themselves have little to no participation in the designing process. She also pointed out that students only receive a test score, instead of a copy of their test with feedback. Another issue Corella raised about standardized tests is that they aren’t accurate measures of what students need to learn to be prepared for the digital and diverse era in which we live. 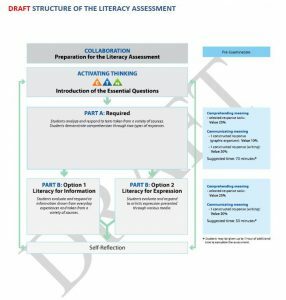 There are three parts to the drafted literacy assessment. Jan Unwin, superintendent of graduation and student transitions in the ministries of education and advanced education, explained that the new numeracy assessment will not be solely a test of math, and the new literacy assessment will not be solely a test of English. The assessment results will not be blended with classroom marks, the way that the provincial exam results used to be. According to Unwin, research shows that standardization may not be the most effective form of assessment. In an increasingly personalized world, it’s becoming more and more difficult to assess student performance based on one single standard. “We know that kids learn in different ways and at different rates. Sometimes those standardized assessment all one way on the same day in the same way actually don’t show what a student knows,” said Unwin. On top of the debate about whether it’s a good idea to cancel the provincial exams, there is confusion around the new literacy assessment due to lack of clear communication between teachers and students. Li, a Grade 11 student, is wondering whether she should study for the English 12 provincial exam or the new literacy assessment introduced by B.C.’s Ministry of Education because she hasn’t been told by her teacher. Many B.C. teachers have limited information to share with their students. Theresa Reimchen, English department head at Tamanawis Secondary in Surrey, said in an email response that she is unclear about the changes made by the ministry. Unwin works with school principals and other stakeholders to communicate the ministry’s plans. “The what is pretty widely known, the how is the place that people are sort of still thinking about things,” said Unwin. Starting in June 2018, there will only be provincial exams for Grade 12 courses, instead of across grades 10, 11 and 12. According to the ministry’s website about the new graduation program, students who are in grades 11 and 12 this school year will take English 12 and write the associated provincial exam to satisfy their graduation requirement. This means that students like Li can rest easy knowing that they only have to prepare for the provincial exam. “I’ve been doing practice exams for English 12 for a while, so I’m just glad my preparations won’t go to waste,” said Li.